LITTLETON, Colorado – February 1, 2017 – Spain is a country with soul. It’s known for its fiestas and the Flamenco. Spain inspired the founder of Cubism, Picasso and is home to the whimsical walls of Gaudi. It is a place where you can bask in the sun at the beach or find yourself surrounded by some of the most magnificent hilltops and mountains in the world. Spain is a destination that encourages us to celebrate life. To ensure they’re getting the most out of their journey through Spain, Monograms delivers travelers to towns and villages on their itinerary via first-class, high-speed rail and hand-picked, centrally located hotels. Even better? Monograms – a sister company to award-winning tour operator Globus – is the only vacation provider that promises travelers a warm “welcome” thanks to the on-site services of an expert Local Host who offers tips, insights and also arranges sightseeing in each destination. For instance, when travelers want to see and experience a range of what Spain has to offer, Monograms provides a 12-day Barcelona, Madrid with Toledo, Seville, Cordoba & Torremolinos vacation (priced from $2,908). This getaway begins in Barcelona, Spain’s second-largest city, when Monograms transfers guests from the airport to the hotel. There, a Local Host will be waiting with important tips and insights about the city. 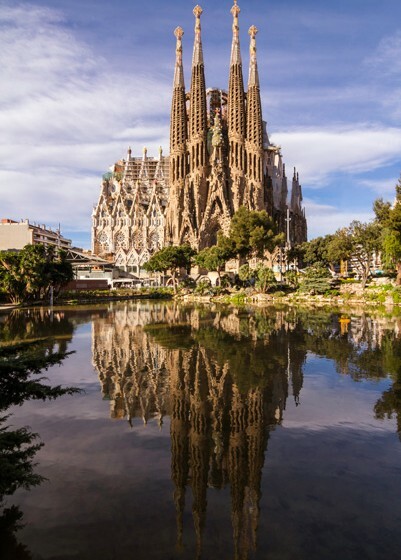 Time in Barcelona includes VIP sightseeing that features works from Gaudi – specifically, an insight visit at Casa Batlló and La Sagrada Familia – as well as a day at leisure to explore the city). Then, it’s off to Madrid via first-class, high-speed train. In Madrid, a local expert will take travelers to the Prado Museum to experience and explore some of the world’s best art. Also included is an excursion to Toledo. On the seventh day of the trip, travelers will travel by train to Seville to enjoy time in the Santa Cruz Quarter, at a tobacco factory and on-their-on exploration which could include a cruise on the Guadalquivir River. Next up is Cordoba for an evening with VIP sightseeing which spotlights Alcazar, the Roman Bridge, the medieval Jewish Quarter and the Mosque of the Caliphs. The final stop on this journey through Spain is in the resort town of Torremolinos. For those travelers with a little less time to explore Spain, there’s a 7-day Barcelona & Madrid vacation. DEAL ALERT: Looking for better deals on a better way to travel? Monograms’ WANDERLIST offers travelers the best deals each month. SAVE 20% on the Barcelona, Madrid with Toledo, Seville, Cordoba & Torremolinos vacation when booking before February 28, 2017. For more information about Monograms visit www.monograms.com or blog.monograms.com. Or, to download a PDF of this release, click here.